Rated by guests as “excellent”, Bend’s Comfort Inn and Suites is a perfect hotel for travelers just coming into town from the east. Located on Bend’s east side right off Highway 20 near Worthy Brewing, the hotel features an outdoor pool, a spa tub and a conference center. Enjoy a free buffet breakfast each morning, free WiFi in public areas, and free parking. Additionally, this smoke-free property has a business center. 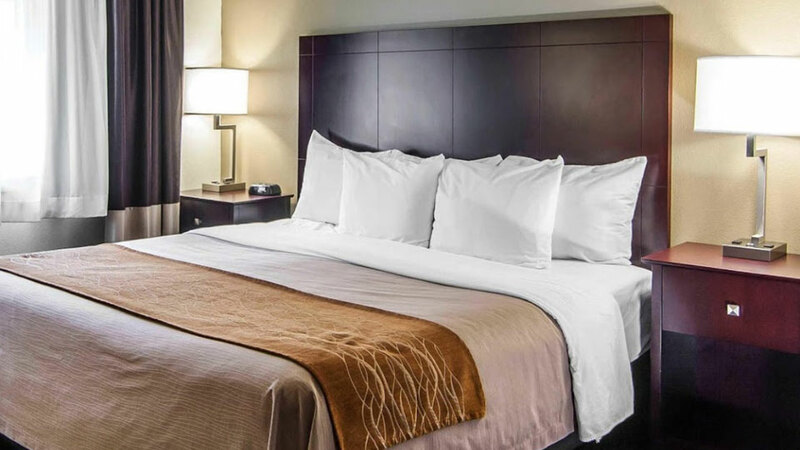 All 64 rooms provide conveniences like refrigerators and microwaves, plus free WiFi and flat-screen TVs with cable channels. Wired Internet, coffee makers, and free weekday newspapers are among the other amenities available to guests. The hotel welcomes four-legged guests as well. A must-have to start your days of adventure exploring all Bend offers, they’ve got free coffee and in-room coffee makers to keep you perky. The area offers a number of traveler conveniences close by, including a Safeway and a Whole Foods for groceries, and a variety of local and chain restaurants. If you’re a member of the Choice Privileges® Rewards program, you can earn rewards, including free nights and gift cards.